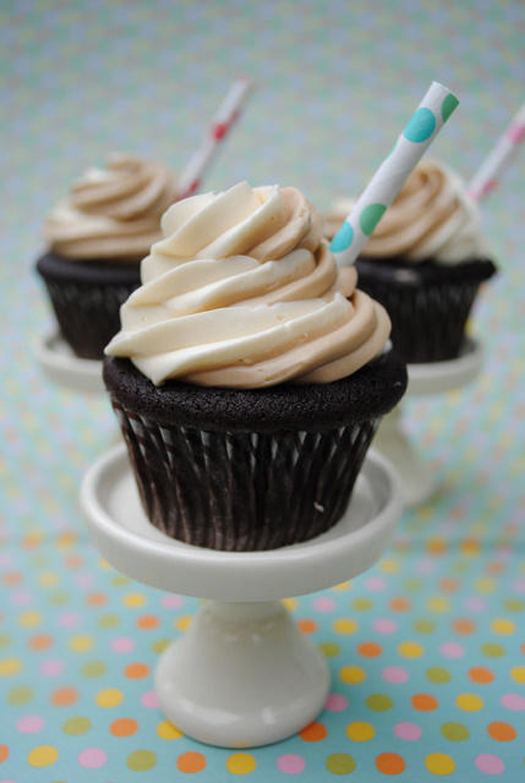 Juneberry Lane: A Summertime Smash: Root Beer Float Cupcakes . 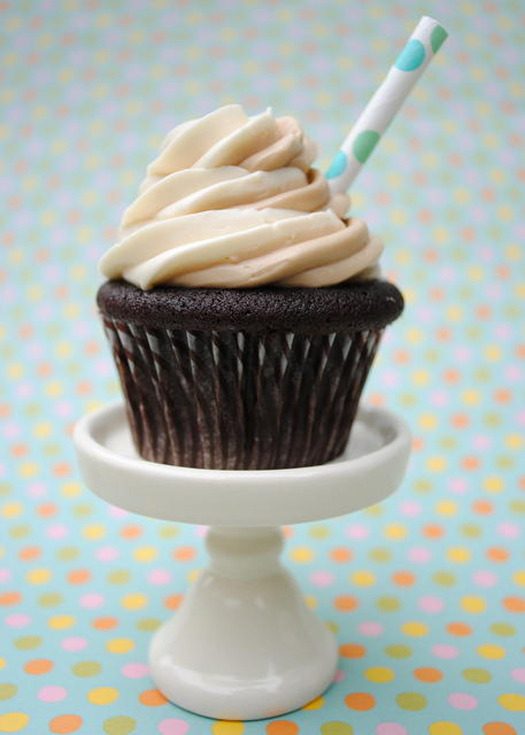 . .
A Summertime Smash: Root Beer Float Cupcakes . . .
Now what in the world could top a cold root beer float on a warm summer night in the middle of July? 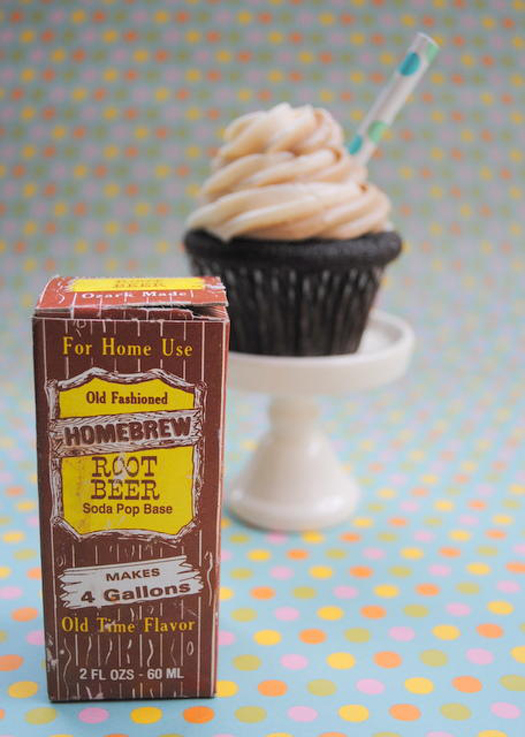 Well, Root Beer Float cupcakes, of course! As we head on into this weekend (quite a change from the last one we had amidst all of those BBQs, family get-togethers, popping rockets, & exploding fireworks) I thought it might be fun to pull out those few retro straws we had lying around from our last fantastic birthday party and pull together a treat sure to delight anyone who has ever enjoyed a frosty glass of A & W on a balmy night on the front porch swing . . .
2. In a mixing bowl, cream together butter and sugars until light and pale. 7. Fill paper-lined muffin tins with batter 2/3 full. 3. With the mixer on low, add the softened butter, 1 tablespoon at a time until incorporated. Add in vanilla. Whip until smooth (it may look curdled, but just continue to mix & it will be fine!). 4. Remove ½ of the frosting and add root beer extract to the remaining frosting. Thank you to Becca from Birthday Girl Blog for this delicious recipe & the fun tips! Have a wonderful weekend!